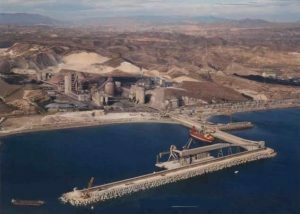 Arizon Abogados SLP is a leading maritime law firm in Spain. Chambers & Partners highlights in its 2017 rankings that, “it is a boutique that does quality work”. Our team provides a specialized legal service to the international shipping business in Spain. We have a comprehensive understanding of the shipping market, both from the perspective of P&I clubs and insurers and that of their members; shipowners; charterers; trading houses; shippers; exporters; importers; shipyards; and financiers/banks worldwide. We offer a full range of dispute resolution services, from litigation (with a special focus on ship arrest and injunctive relief) to other forms of alternative dispute resolution, such as mediation and arbitration. 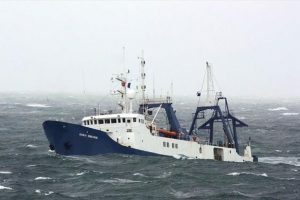 Our firm is a founding member of the international network of maritime lawyers shiparrested.com, which greatly enhances our cooperation with other international Law firms to facilitate the arrest of ships worldwide. Ship’s detention by local authorities. Arizon is often asked to attend urgent marine matters; see pictures of high profile cases where we were instructed to act. 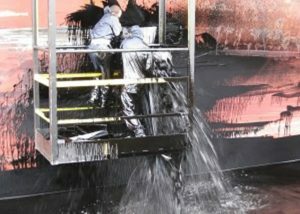 Cernaval ship yard workers trying to stop the fuel oil escaping from MSC SHENZHEN. In this case Arizon acted for the ship yard. 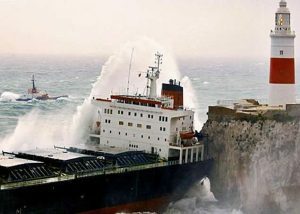 MV FEDRA 's collision in Gibraltar. 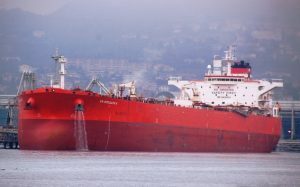 Dr. Arizon acted for the Spanish yard in the draft of the contract to dismantle the ship at Algeciras. 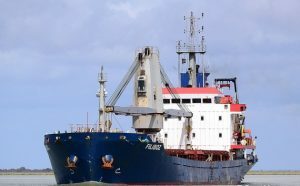 MV NEW FLAME, Dr. Arizon acted for the cargo underwriters. 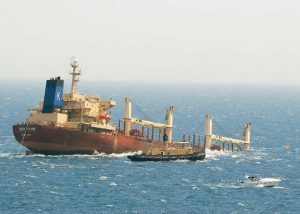 The ship collided in Algeciras against another ship and sank few months later. 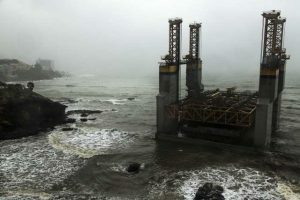 Carboneras' terminal where MV HAMZEH collided with a shore crane with pilot on board and assisted by two tugs. Dr. Arizon acted for the shipowners.